This month’s State of the Thing, LibraryThing’s monthly newsletter of features, author interviews and various forms of bookish delight, should have made its way to your inbox by now. You can also read it online. 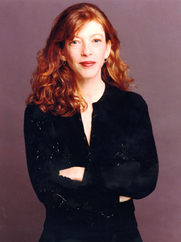 I talked to author Susan Orlean about her new book, Rin Tin Tin: The Life and the Legend. Find out how she got interested in Rin Tin Tin, which of her animals would make the best movie star, and about how Twitter has affected her work and her interactions with readers. Read the full interview with Susan Orlean. I also chatted with Richard Brookhiser; his newest biography, James Madison was published recently by Basic Books. Read the full interview with Richard Brookhiser.